It’s funny to finish reading a new biography of Bill Nicholson in the same week that Sir Alex Ferguson continued his one sided war with the BBC. The Nicholson that emerges from Brian Scovell’s affectionate portrait would have found the cult of personality that surrounds managers like Ferguson as an alien concept. The Manchester United might remember the Nicholson era but it’s unlikely Spurs greatest manager would have recognised the football era that Ferguson has helped create. It seems that Nicholson has somehow fallen out of our collective memories, a forgotten man in the shadow of the nostalgia industry that has grown around the legends of Stein, Busby or Shankly. My own understanding of his career and legacy comes through association with Scots like Dave Mackay, John White and Alan Gilzean and the snapshot of a season and an era provided by Hunter Davies’ The Glory Game. Bill Nicholson: Football's Perfectionist is an ideal way to fill the gaps. Nicholson devoted his career to Spurs and eventually guided them to nine major trophies as manager. He did it all with a modesty and a commitment to football’s more Corinthian ideals that would mark him down as an oddity today. Thankfully he remained involved enough and aware enough until his death in 2004 to express concerns about how the game was moving away from the spirit of the sport he loved. Even if football would struggle to find room for a man like Nicholson these days it is doubtful that he would want to have much to do with it. Scovell picks up on this as one of his central themes. And, I presume, by expressing Nicholson’s views he also gives us an insight into his own thinking on a game that he covered for more than 40 years as a newspaper journalist. It’s a risky business for a biographer to harness the views of his subject to promote his own ideas. But it works here because it seems so in keeping with Nicholson’s own character. You don’t need to agree with everything he thought about the changing face of football to have sympathy with his concerns and to find something admirable in his modesty and his devotion to the club and the fans. But then Nicholson was from a generation that went about its business with modest dedication and football reflects more than moulds different eras. Like many things we get the football, and the footballers, we deserve. Bill Nicholson’s crowning achievement came early in his reign when he won the first double of the modern era in 1960/61. He achieved much after that but he could never quite recapture the essence of that side, the coming together of a small group of players who responded brilliantly to his guidance and had the ability to bring his footballing philosophy to life. We should be grateful to Brian Scovell, who witnessed much of that era and can draw on an extensive network of football men and Nicholson’s own family for memories of the man and his time, for giving us this account. Not only does it restore Nicholson to centre stage - a position he would never have craved in life - it also chronicles a lost age of football. No doubt the paperback version will be in the shops for the 40th anniversary of the Double. A few errors will hopefully have been removed: Neil Armstrong didn’t walk on the moon on the day of the 1961 FA Cup final, Spurs weren’t England’s first representatives in the European Cup and Margaret Thatcher didn’t become Prime Minister in 1974. The Rotterdam Riot when Spurs fans rampaged at the 1974 Uefa Cup final second leg disillusioned Nicholson to such an extent that his resignation became inevitable. The era of hooliganism and bungs appalled him. He was, then, very much a man of his time. But, as Scovell shows, his achievements and more importantly his attitude to the game he loved deserve to be celebrated still. 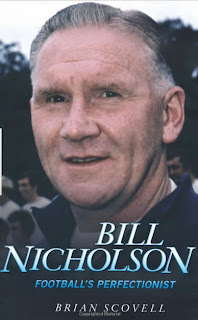 > Bill Nicholson: Football's Perfectionist by Brian Scovell. Available here. One of the problems with the transfer window is that it remains open even after the first balls have been kicked in anger in the SPL. 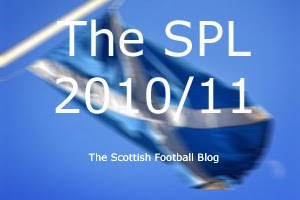 So two games into the season we have fresh speculation - mainly surrounding the ins and outs at Rangers and Celtic - on an almost daily basis. It's difficult to get a real handle on the early league skirmishes when we still don't know the exact make-up of a number of squads. 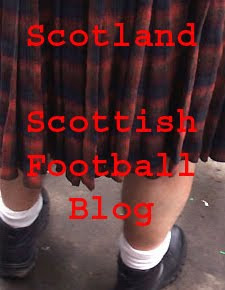 Even if you can live without my ramblings Albion Road is always worth a read. Thanks, as ever, to Jeremy of that parish.